The 2016 men's 12 stage & women's 6 stage road relay events took place at Silksworth Sports Complex Sunderland on Saturday the 2nd April. The club had reached another milestone at this event, as the recent influx of new members enabled men's team manager Pete Shaw to enter 2 teams. 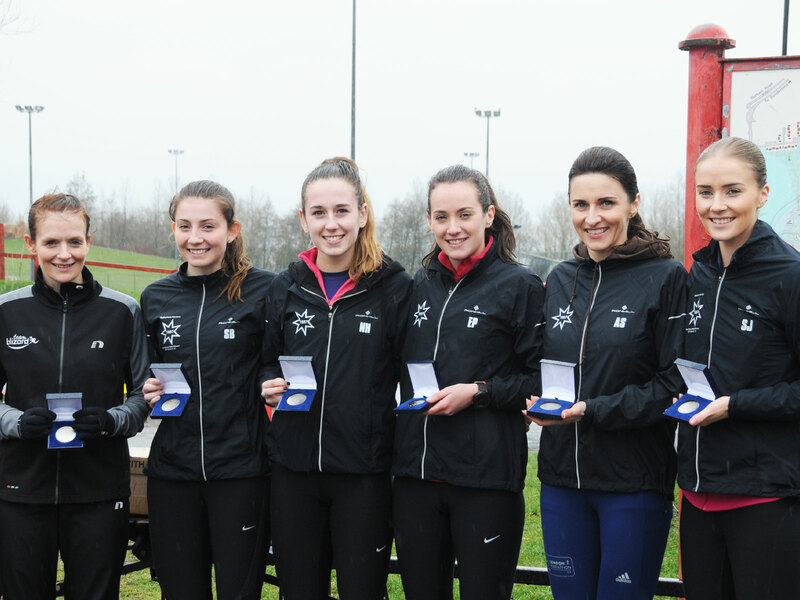 Although on the day the "B" team was incomplete, it did mean that 10 runners had the opportunity to run in this great event, and to bid for a place in the team to be selected for the National championships at Birmingham's Sutton park on the 18th April. The number of quality male athletes the club now has meant that the club "A" team finished in the top 10, with the best finishing position for 10 years - their 9th place equalling the 2006 finishing position. We only had one women's team, due to the unavailability of some key players due to injuries, but Nigel Brookes had a strong team that on paper were certainly capable of winning team medals. The course consisted of a lap of just over 2 miles, with two steep climbs. The men's race had 4 long stages, with 2 laps (4 Miles) and 8 one lap short leg stages. The women's race had two long legs (1st and 4th) with 2 short stages following each long stage. The men started at 11:30am with Luke Cotter (A team in 16th) and Ian Whyman 37th for the B team, both having solid runs. Rhian Hastey moved the A team up to 13th and Devon Stead - a club junior athlete having his first run in these championships & having a great run - moved the B team up to 33rd. The women set off 5 minutes after the men, with Samantha Johnson running the first of the long legs. At the top of the biggest hill on lap 1 Samantha and GB international Emma Clayton (Leeds City AC) had a clear lead over the 3rd placed athlete, but Samantha pushed on, to hand over a 7 second lead to Emma Parkinson. Emma increased this lead to 14 seconds, and Alina Stepanchuk brought the club home in the lead 12 seconds ahead of Leeds. Olympic 1500m runner Laura Weightman gained 5 places, and ran the fastest short leg time of the day to bring Morpeth up to 3rd. It was clear that the long leg 4 would be a key leg for finishing positions, and so it proved. Jenny Blizard was up against England International Claire Duck, and despite Jenny running the 10th fastest long leg of the day, she could not live with the fastest long leg time that Claire set. Leeds City now had a lead of well over 1 minute, and ominously Morpeth athlete Emma Holt brought Morpeth in just 8 seconds behind Jenny. Nigel Brookes had saved the experienced Steph Burns and Natasha Hatswell for the last two legs; Steph gained a valuable 20secs lead over the Morpeth athlete on leg 5. Natasha had a very good run, recording the 4th fastest short leg time of the day, to bring the team home to well deserved Silver medals, 35 seconds ahead of Morpeth. Samantha's brilliant run on leg one, was the second fastest long leg time, just 10 seconds behind Claire Duck's time.